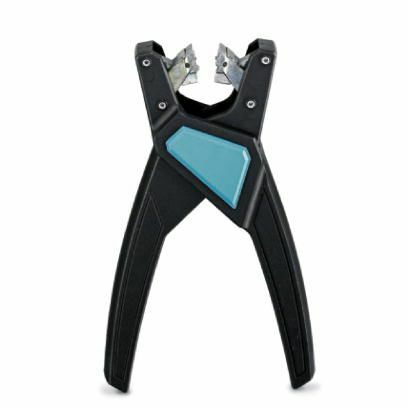 Stripping pliers, for halogen-free sensor/actuator cables (SAC cables), with PUR and PVC insulation, from Ø of 4.4 to 7 mm, any stripping length. This tool is a big time saver. It removes the outside insulation of a sensor cable in a few seconds without any effort. 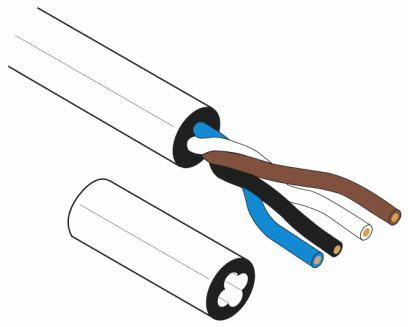 It does not require any skill to strip the cable, and there is no risk of cutting the inside cables.